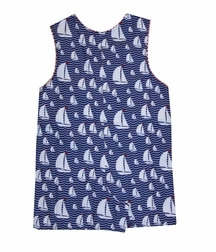 Cute sailboats patterned John John for your little sailor! 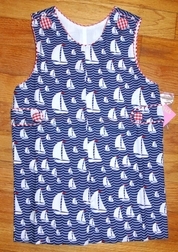 The shoulders fasten with red gingham covered buttons, it has side tabs with buttons and the neck, arm holes and tabs are piped in red gingham. Monogram the chest for a pop of color!